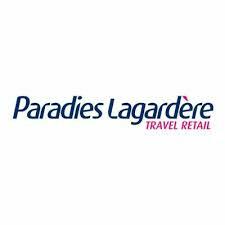 Paradies Lagardère closed the acquisition of Hojeij Branded Foods (HBF), a leading airport restaurateur in North America, on Nov. 20. The acquisition is part of Paradies Lagardère’s strategy to strengthen its position as a major restaurateur in North America airports. Combining the activities of Paradies Lagardère and HBF creates the third-largest operator in the North American airport travel retail and restaurant industry. With operations in more than 100 airports, the overall annual sales will exceed $1.2 billion, with $350 million in food and beverage sales. The two organizations’ existing food and beverage operations will be combined to create the new Dining Division of Paradies Lagardère. The division will offer restaurant experiences in 42 airports with approximately 100 brand partners and proprietary concepts ranging from full service to fast casual to quick serve. The combined brand includes Vino Volo, Chick-fil-A, P.F. Chang’s, Pei Wei, Bar Symon by Chef Michael Symon, illy Caffè, Longhorn Steakhouse, and Cat Cora. The new operation will surpass $350 million annually in food and beverage sales. The integration of the two food and beverage operations will begin immediately. The HBF management team, led by Regynald Washington, will remain at the helm of the company.